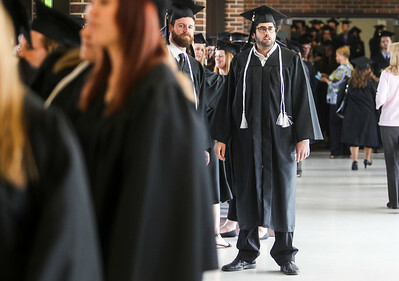 Sarah Nader- snader@shawmedia.com Graduate Brad Leary (center), 30, of St. Charles lines up before the McHenry County College Spring Commencement in Crystal Lake Saturday, May 10, 2014. Sarah Nader- snader@shawmedia.com Graduates line up to receive their diplomas during the McHenry County College Spring Commencement in Crystal Lake Saturday, May 10, 2014. 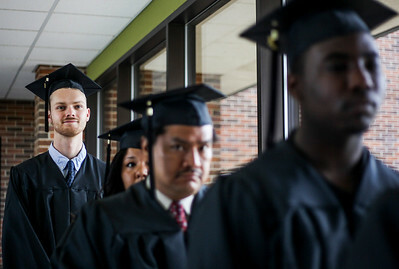 Sarah Nader- snader@shawmedia.com Tom Webb, 22, of Wonder Lake lines up to walk into the gym during the McHenry County College Spring Commencement in Crystal Lake Saturday, May 10, 2014. 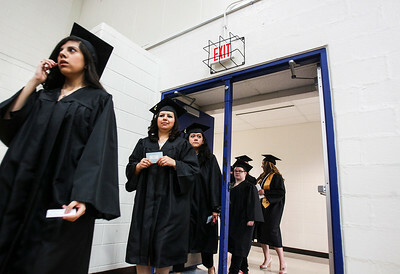 Sarah Nader- snader@shawmedia.com Graduates walk into the gym during the McHenry County College Spring Commencement in Crystal Lake Saturday, May 10, 2014. 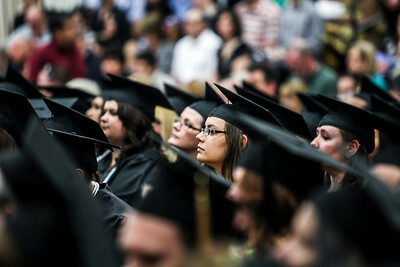 Sarah Nader- snader@shawmedia.com Graduates listen to Dr. Vicky Smith speak during the McHenry County College Spring Commencement in Crystal Lake Saturday, May 10, 2014. 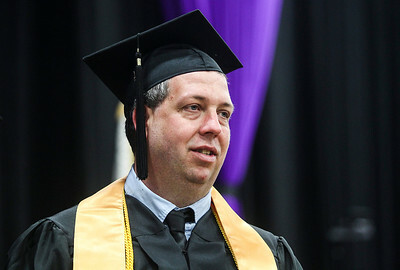 Sarah Nader- snader@shawmedia.com Graduate George Phillip Boyd Jr, of Woodstock receives his diploma during the McHenry County College Spring Commencement in Crystal Lake Saturday, May 10, 2014. Boyd graduated with a degree in business management. 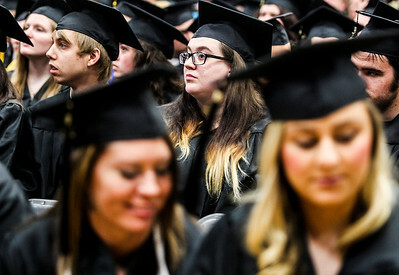 Sarah Nader- snader@shawmedia.com Graduate Dana Wolf (center) of Crystal Lake waits for her turn during the McHenry County College Spring Commencement in Crystal Lake Saturday, May 10, 2014. Wolf graduated with an Associate in Arts. 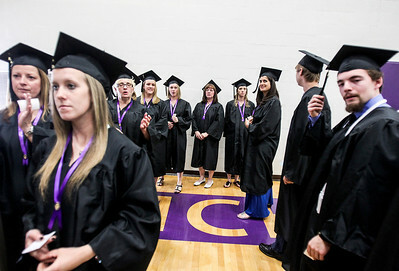 Graduates walk into the gym during the McHenry County College Spring Commencement in Crystal Lake Saturday, May 10, 2014.